Personalize the message of Mark’s bestselling book, The Fred Factor, for your audience. This highly motivational presentation explains how you can become a Fred … providing you the means to reinvent your business and life through self-mastery, vision, empowerment, and service. This program is a powerful way to get everyone from front-line employees to upper management focused on the importance of self-responsibility and creating value for those with whom we work and live. It goes beyond the workplace to show viewers how to enrich their personal lives as well. You must continually create value for others, and it doesn’t have to cost a Penny. You can replace money with imagination. The objective is to outthink your competition rather than outspend them. Like the real Fred (yes, he does exist), The Fred Factor is an extraordinary presentation, particularly when tailored to fit your organization. The four principles of the international bestseller The Fred Factor affect every aspect of your business or organization. 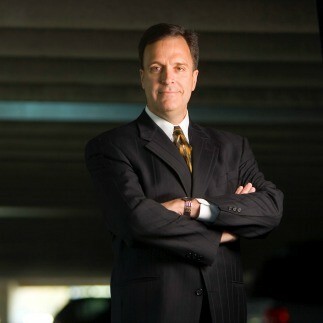 Mark Sanborn, ranked by LeadershipGurus.net as one of the top 30 leadership experts in the world today, shows you how the Fred Factor philosophy affects your leadership skills and the results you achieve. He’s presented “Lead Like Fred” to hundreds of audiences across the U.S. The insights are tailored specifically to leadership and easy to understand and apply. Who is Fred? And what is The Fred Factor? Based on his international bestselling book, The Fred Factor: How Passion in Your Work and Life Can Turn the Ordinary Into the Extraordinary, Mark Sanborn, a former sales and marketing executive, can show you and your team how to become extraordinary sales professionals and gain a advantage in today’s hotly competitive sales environment. In his work with corporate America, Mark Sanborn has found that too many definitions of leadership are focused on the outer manifestation of leadership: the title, position on the org chart, and corner office space. These perquisites of appointed leadership may have little to do with the actual ability of the individual who enjoys them to lead. Sanborn has found that the more telling characteristic of true leaders is their power with people as opposed to the positional power they may enjoy over people. How do you keep getting better, when you’re already the best? Or what happens when complacency, out-dated thinking or weariness stunts performance? What do you do when growth stalls, or when your team is working below its true potential? Today’s top performers and top companies often experience a crisis once they’ve moved into the number one spot. It is easy to become complacent and rest on past accomplishments while competitors are biting at your heels. When you’re number one, there is nobody to emulate. You either keep increasing your lead or run the risk of being overtaken by numbers 2 though 5. Why “taking action” isn’t enough (and what really is). How to become laser-focused each day and do those things that produce the biggest results (learn the specifics, not the generalities). Two statements anyone can use that absolutely define collaboration and teamwork. 6 things you absolutely control. What is far more important than the ability to change. A form of discontent that achievers use to continually improve. If you’re having a meeting of top performers, organizational leaders or anyone who needs a boost to supercharge their outlook and performance, talk to Mark about how he can help.